What type of food lovers have you supplied with bottles? OnlineBottles.com supplies all types of food lovers and food makers. 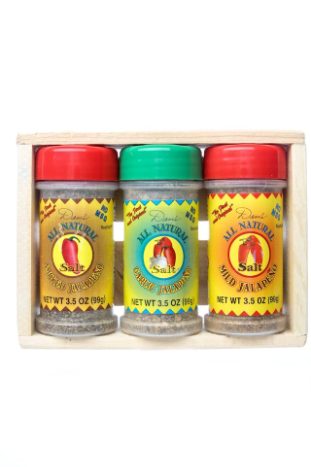 We have supplied bottles for hot sauce, barbeque sauce, limoncello, garlic salt, juice, wine, and more. What bottle do you recommend for juicers? Depending on the size you want the two bottles that we suggest for juicers are our 16oz BBQ Sauce Bottles or our 12 oz Marinade Bottles. These bottles both have a wide mouth for easy filling, pouring, and drinking. What is your favorite green market to visit in Palm Beach? I love the Green market on Burns Road on Sundays. There are a lot of fresh fruits and vegetables and the food vendors are great. Don’t miss the Fresh Juice King – Delicious. What is your current juice crush of the moment? I am currently in love with Carrot Juice. Easy to make, mild flavor, and when mixed with other fruits, taste great. Carrots not only provide great nutrients, but they give a lot of juice as well. Do your customers come back to share their bottle creations? Yes, one of our favorite customers is Dave’s Jalapeño Salt. They have assorted flavors, and I have tried many of them. They are great on all types of foods from pasta to bread to flavoring meat. OnlineBottles.com provides a variety of glass and plastic bottles to serve those in and out of the food industry. Their bottles are perfect for bottling juices, sauces, dressings, wines, and spirits.